The Phyllocerataceae are a superfamily of ammonites that is very much like the Lytocerataceae – they’re thought to have been deep water denizens, often only straggeling into Yorkshire from the Tethys when a passage opened up, they’re quite conservative (there’s not a lot of change and not many species, at least not in Yorkshire), they’re not very common (though probably slightly less rare than Lytoceras) and they’re very beautiful and highly sought after ammonites. 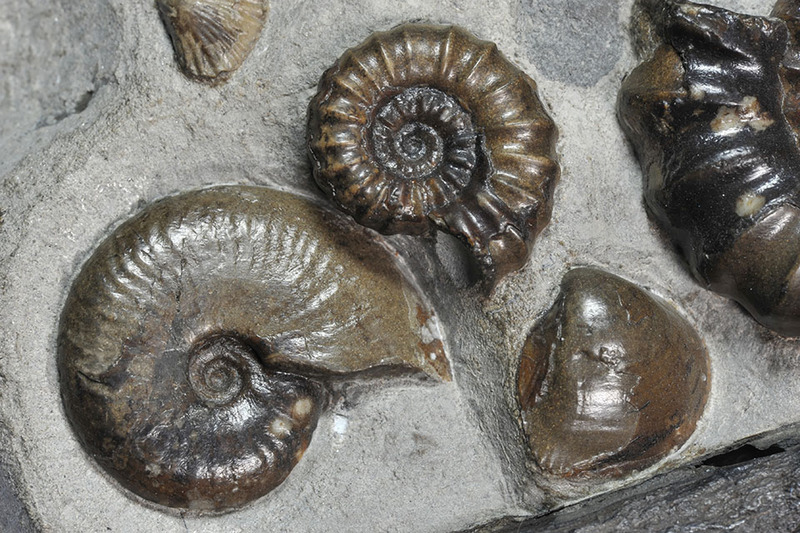 The sculpture of the Phyllocerataceae consists mostly of finer or coarser ribs but the beauty of these ammonites also lies in the sutures they show when preserved as an internal mould : Complex leaf-like structures of an almost fractal nature, which also have been immortalized in the genus name Phyllo-ceras = Leaf horn, as shown above. The index fossil of the ibex zone, Tragophylloceras ibex, has not been found in Yorkshire, neither have been to my knowledge the species Tragophylloceras undulatum and Tragophylloceras carinatum. 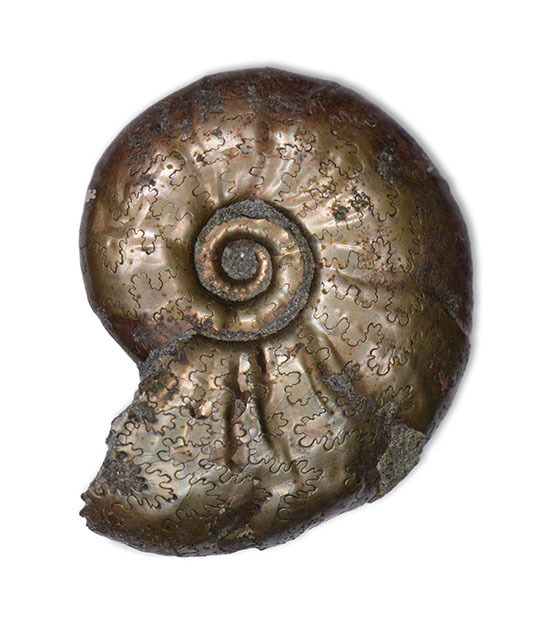 Tragophylloceras numismale can sometimes be found in the polymorphus subzone as small pyritized phragmocones, the body chamber usually either not preserved at all or flattened. 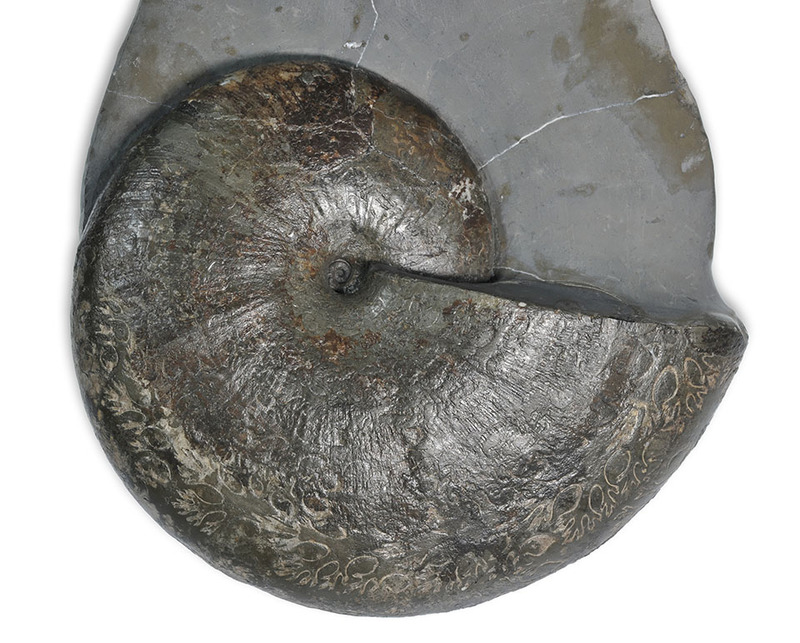 The small ammonites show characteristic repeating constrictions on the inner mould which do not persist onto larger whorls. 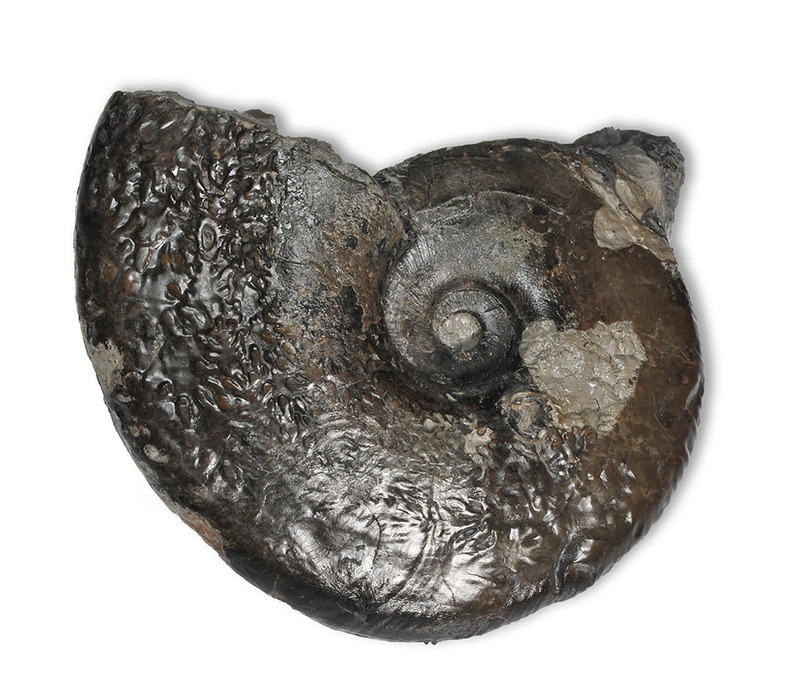 The larger specimen above was a lucky find from a very fresh small cliff fall maybe 2-3 m above the beds where the pyritized specimen occur. It must literally have fallen only hours before I passed the area about 3 hours after high tide as it had not been touched by the sea. 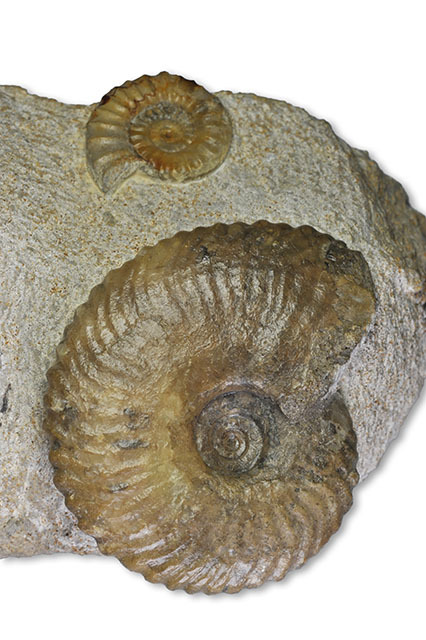 In contrast to similar beds in Dorset, where Tragophylloceras loscombi and Androgynoceras often occur together, the Yorkshire T. loscombi specimen only rarely accompany Androgynoceras in the Yorkshire maculatum subzone and are generally very hard to find and most of the time relatively small. It´s range seems to be rather long, from the luridum subzone up to the stokesi subzone. 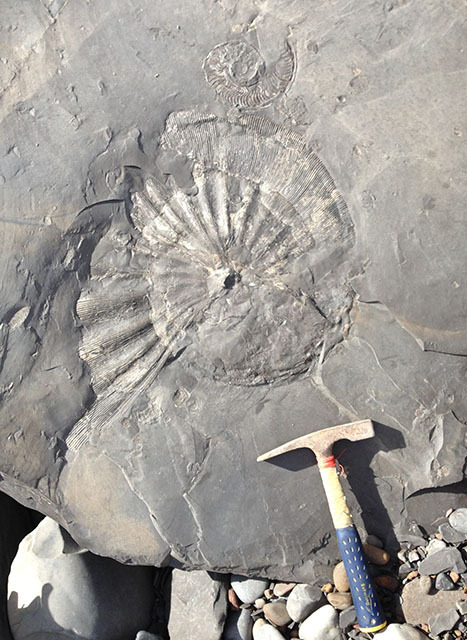 The ammonite exhibits fine ribbing, and only very fine undulations at the venter. More or less fine ribbing with regular undulations at the venter. 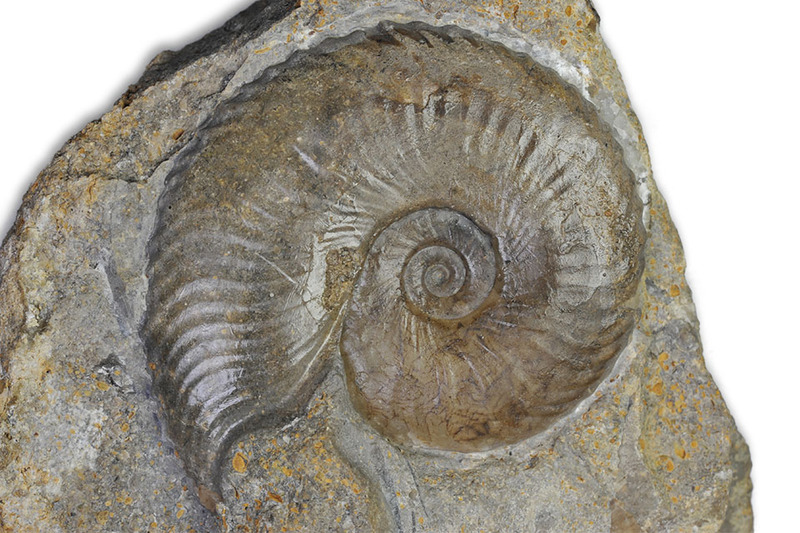 Tragophylloceras ibex has the most coarse undulations at the venter. The specimen pictured above has been purchased from Mike Marshall. 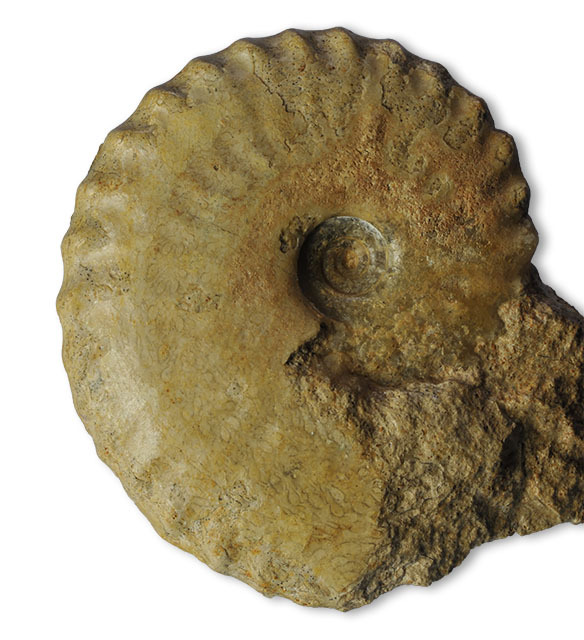 Phylloceras is a genus which can get quite large, probably one of the largest genera in the Yorkshire lias, up there together with some of the Schlotheimia and Coroniceras genera from the lower lias. 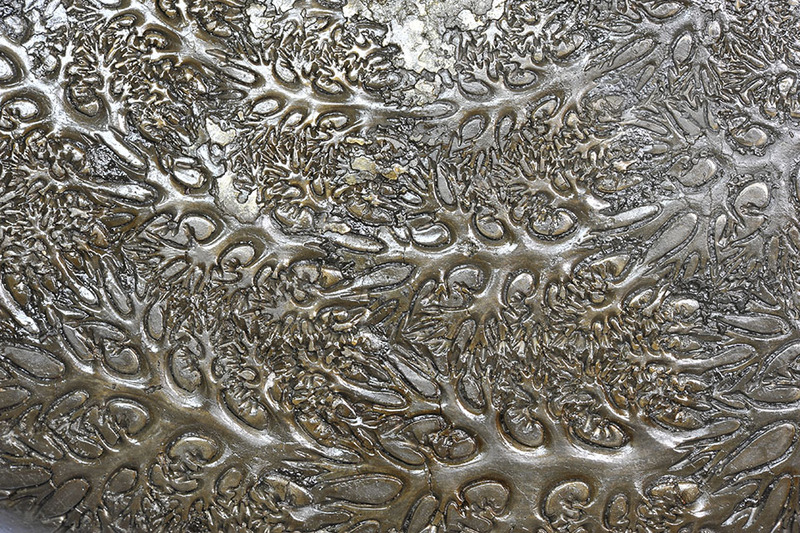 It also shows the broader waves of seconday ribbing on the body chamber that develops on larger specimen. as natural erosion will soon take its toll.